Who says luxurious swim up rooms are reserved for adults only?! These all inclusive resorts in the Caribbean and Mexico offer stunning swim up rooms for all travelers—families included. 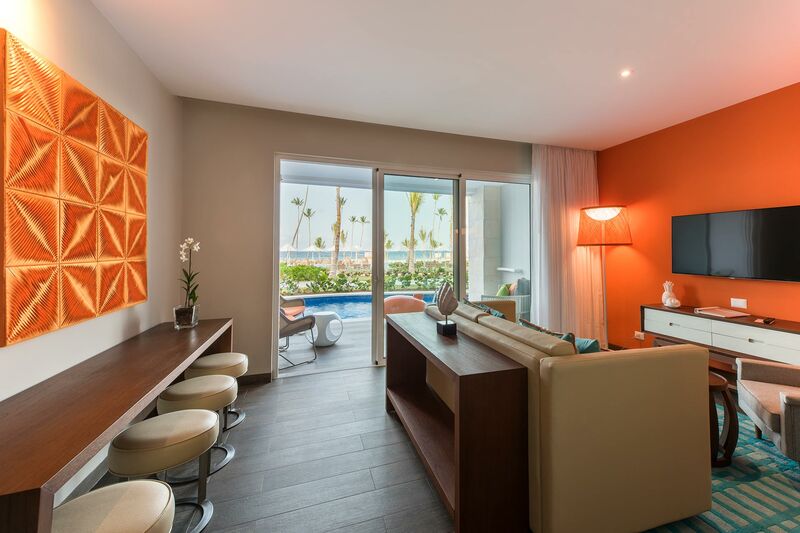 Scheduled to open in July 2019, the all-inclusive Hard Rock Hotel Los Cabos will feature Rock Suite Platinum Swim-Up Ocean Front suites for families. They’re available in two variations: a one-bedroom unit with a king bed and sleeper sofa, and two-bedroom units (connecting rooms) with a king bed in one room and two queen beds in the other (sleeping up to six guests). Families with teens ages 13 and up are invited to stay in the swim up rooms at Hyatt Ziva Cancun, which debuted in 2016. Swim up suites feature semi-private pool access, private balconies and best of all, ocean views. Swim up rooms come in two variations: Swim Up King (With Sofa Bed) and Swim Up Double. 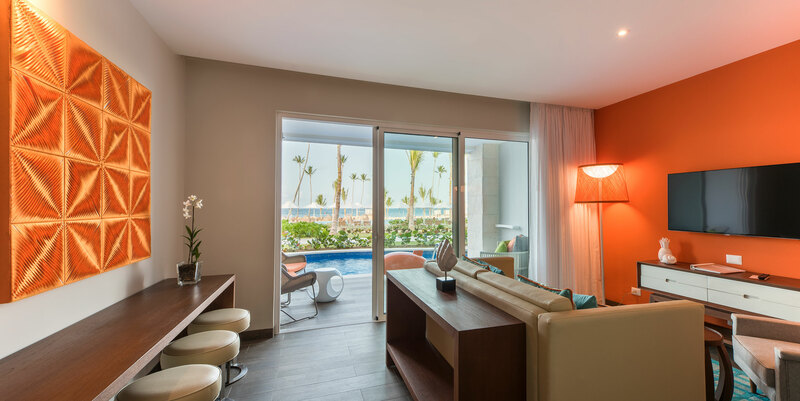 Opened in 2018, the Grand Palladium Costa Mujeres Resort & Spa features Swim-Up Junior Suites with one king bed or two queen beds. The swim up suites also feature dreamy day beds and swings that are perfect for some shut-eye or a good book while your kiddos visit the baby, kids’ and teen clubs. 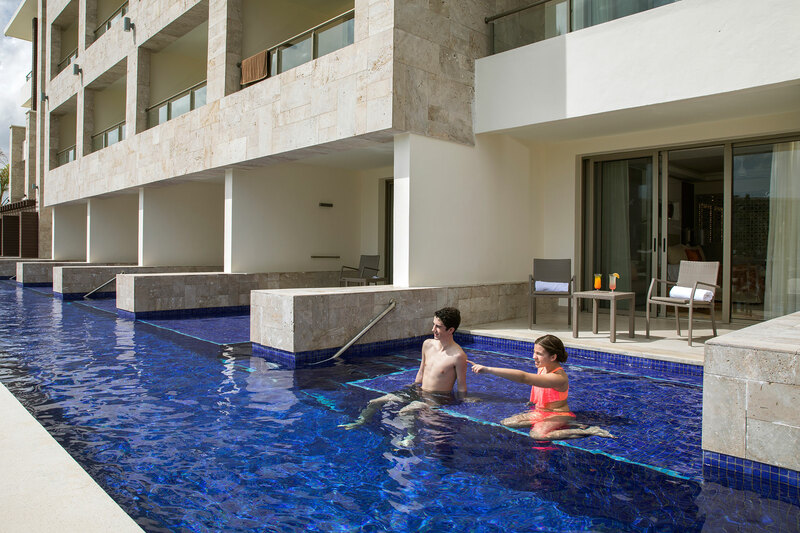 Swim right out to the exclusive Diamond Club pool area from select Luxury Junior Suites at Royalton Riviera Cancun Resort & Spa. The 602-square-foot guestrooms offer one king or two queen beds. Are you a family of three? 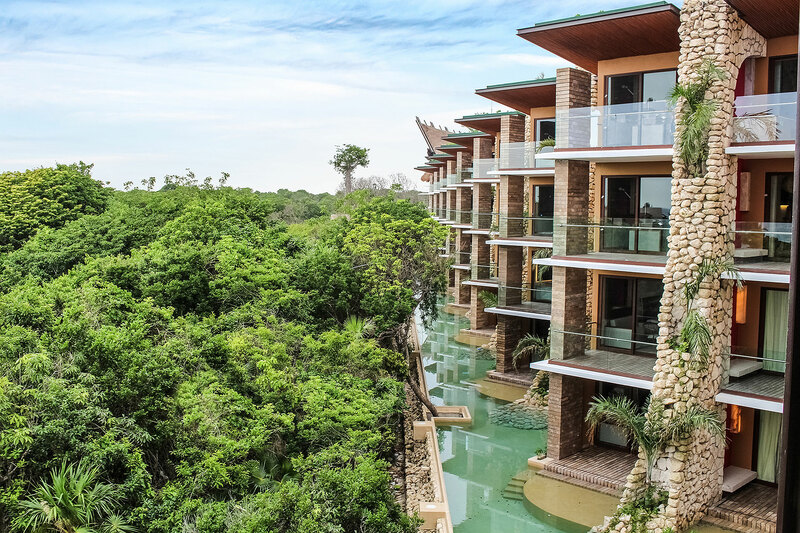 Check out the Hotel Xcaret Mexico, which offers swim up rooms for families in two categories: Swim-Up Ocean Front and Swim-Up Garden. Swim-Up Ocean Front units allow guests to dive into the resort’s pools right from their room’s terrace, while the Swim-Up Garden rooms face the resort’s lush gardens and are a bit more private. Hyatt Ziva Los Cabos also offers swim up rooms for families with children ages 13 and up. This resort’s swim up rooms for families do not face the ocean, however. They come in the same variations as those at the property in Cancun—Swim Up Master King (king bed and sofa bed) and Swim Up Master Double (two double beds). 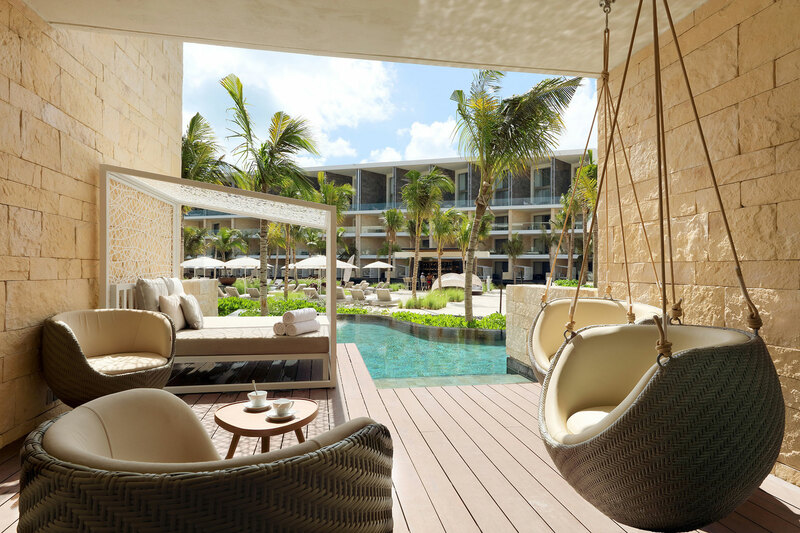 Opened in 2018, the Royalton Bavaro Resort & Spa offers over-the-top luxurious swim up suites—and they’re kid-friendly! The Diamond Club Junior Suites accommodate two adults and two children. 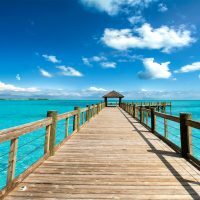 Traveling with a larger group? Book a two-, three-, or four-bedroom Diamond Club Chairman’s Suite with a swim out pool. Families can stay in the Junior Suite Beachfront Infinity Swim-Up rooms at Panama Jack Resorts Cancun. These rooms sleep up to four guests, with one king bed and a sleeper sofa. 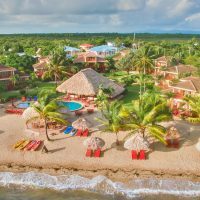 What doesn’t the Nickelodeon Hotels and Resorts Punta Cana have? Located in the Dominican Republic, the all-inclusive resort offers several variations of swim up suites—including a Swank Wraparound Swim-Up Suite! 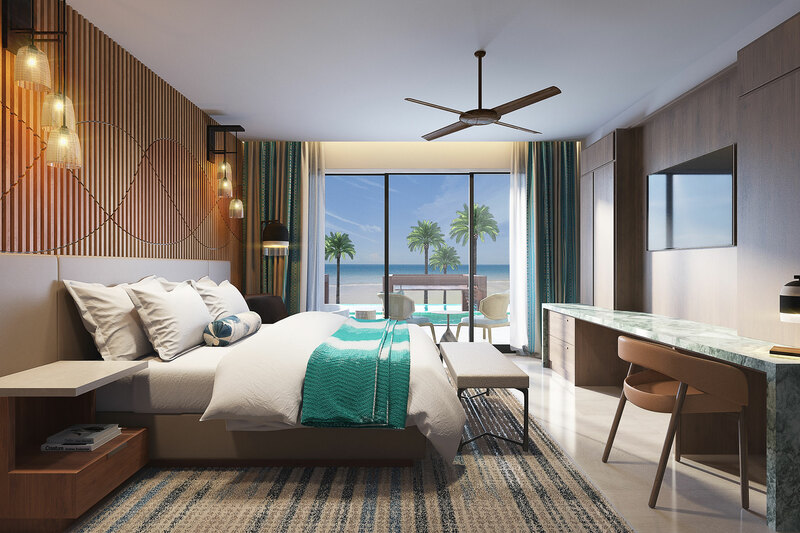 The new Nickelodeon Hotels and Resorts Riviera Maya also will feature swim up rooms for families when it opens in 2020. When it comes to swim-up suites for families, Azul Beach Resort Riviera Maya is the best one around. 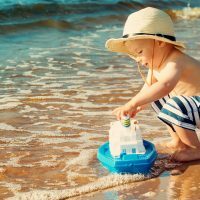 The resort actually offers designated Family Swim-Up Suites with a private bedroom for parents and a separate living area/bedroom where up to three children under age 12 can sleep comfortably. The suite spans 856 square feet in total! The Royal Suites (swim up rooms) can also accommodate families. 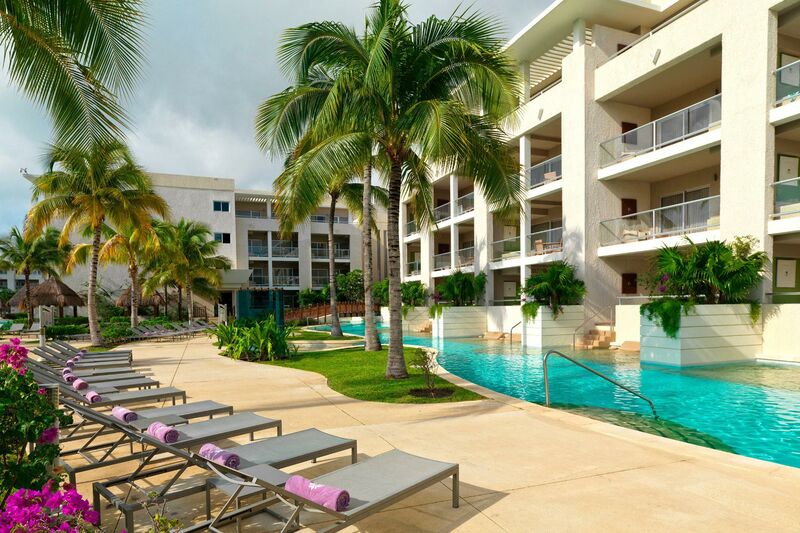 At the Paradisus Playa del Carmen La Esmeralda, you can splurge on a swim up suite just for families! The Family Concierge One Bedroom Suite Swim Up features a swim up option, plus family-specific amenities like kids’ drinks in the mini-bar and milk and cookies at turndown.